Celebrating our 10th birthday party this year was a great opportunity to not only celebrate 10 years of WEDF, but the designers and creatives that are a big part of it. On the 19th October, Noche Negra filled to the rafters with people wanting to celebrate with us! 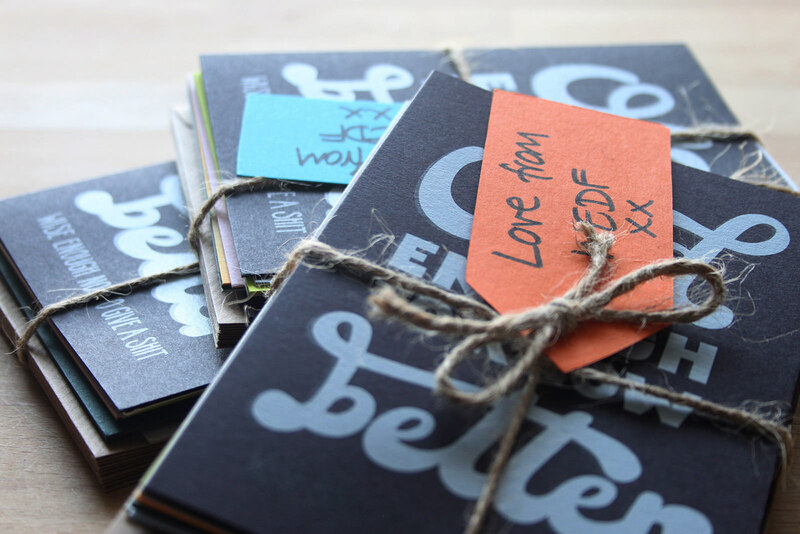 There were drink tokens, raffle prices, 10 speakers sharing 10 snippets of insight, cake (of course) and when the night was drawing to a close we unveiled a very special gift from us to the partygoers – 10 birthday cards! 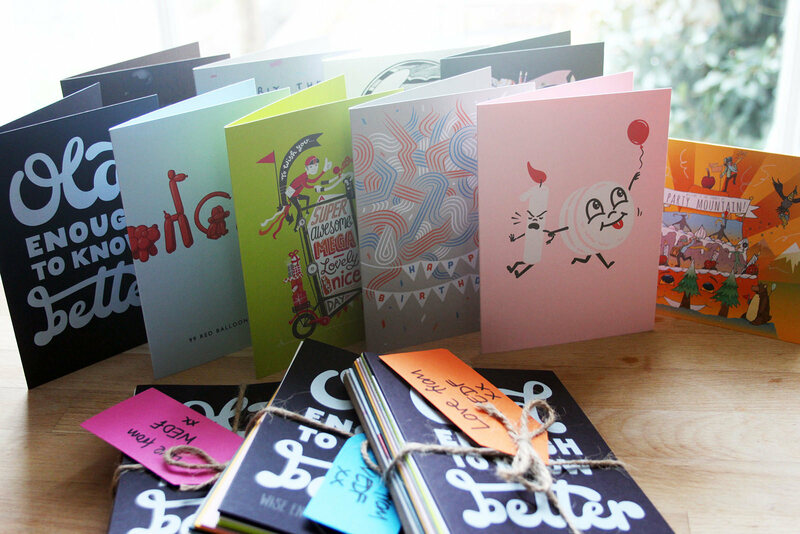 When we first decided to create 10 birthday cards the challenge of curating the project was narrowing down who we were going to ask to be involved. The west of England is notoriously inundated with top talent, and to choose just 8 creatives (two designs were being produced by the pair of us who were leading the project) proved a hard task! 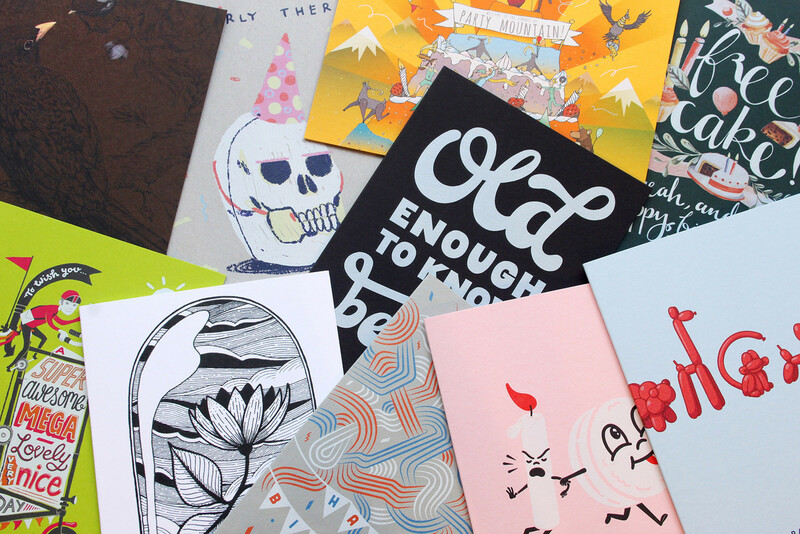 We knew that we wanted every card to be unique and endeavoured to find a range of styles for our final pack of 10. The brief that we set the creatives was to design a birthday card that you would want to give to a friend or relative, but other than that, free reign! We asked for a few sentences detailing what the illustrators were going to design for us, just in case we had any duplicated, and the results were phenomenal before they had even put pen to paper. Alan Smith, owner of Kolor Skemes kindly dontated the paper stock and printed the cards for us; giving us an enormous choice of papers and printing techniques, we were able to produce a birthday party giveaway that we could be proud of. A big thank you goes out to our designers, who donated their time and designs to the WEDF for free, we are aware the fine line of asking creatives to give up their time pro bono, but hopefully they saw it as a way to get their designs and ideas in front of a collection of fellow creatives at our birthday, as well as having some cards to keep for themselves! Shout out to Carys Tait, George Chislett, Lucy Duckham, Sam Rowe, Barbie Lowenberg, Michael Green, Sam Hadley and Luke Ferrand, again, all the team at WithPrint, without who we wouldn’t have had this party favour to hand out to top off our birthday bash in style. Here’s to another 10 years of the West of England Design Forum, we look forward to curating the next birthday present! Written by Engy Elboreini & Kerry Wheeler.